You simply must try an old fashioned Lime Rickey recipe from this collection. 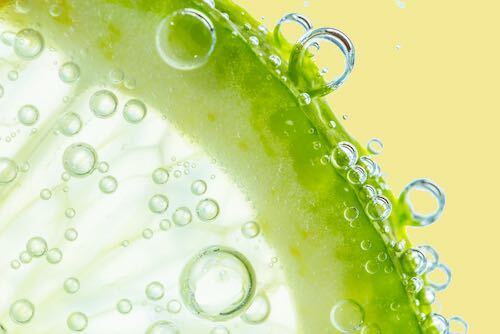 "Rickeys" all contain the juice of limes combined with one or more fruit-flavored fountain syrups and carbonated water. And James Bond aside, they are usually never shaken. Lime rickey drinks are truly delicious. They are classed among the best thirst-quenching beverages for hot weather, but they are great to serve at any time of the year. If you are looking for great nonalcoholic drink recipes, these are perfect for serving on any occasion, or for simply sipping on your own. Hot summer weather got you down? Give these old time lime rickey recipes a try. Rickeys are known to be tart and delicious, and you won't find a more refreshing beverage anywhere. One dram measure equals 3/4 teaspoon. Into a 10-ounce glass pour 1/2 ounce each of vanilla and pineapple syrups and 1 ounce of grape juice; squeeze the juice of half a lime into the glass, add two-thirds glassful of shaved ice and fill with carbonated water. Mix by tossing. "A delightful thirst quencher." Charge 10 cents. 1/2 ounce raspberry syrup, 1 ounce pineapple syrup, 1 dram lime juice, 1 ounce grape juice, 2 drams lemon juice. Place all in a 12-ounce glass which has previously been half filled with shaved ice, then fill nearly to the top with carbonated water and mix thoroughly. Decorate with a maraschino cherry. Before serving the "Chicago," crush fresh mint on the ice. Price—10 ounces, 10 cents. 1 ounce orange syrup, 1 dram lime juice. Fill an 8-ounce glass seven-eighths full of carbonated water, coarse stream, add the above syrup, stir, and serve solid. Price—8 ounces, 5 cents. Four dashes bottled lime juice or juice of one-half lime, two-thirds glass shaved ice, 2 spoonfuls powdered sugar, dash of Angostura bitters; fill with carbonated water, mix, add a slice of lime or lemon or sprig of fresh mint. Serve with straws. Lemon or plain syrup might be used to advantage in this formula in place of the powdered sugar. Charge 5 cents for 8 ounces. 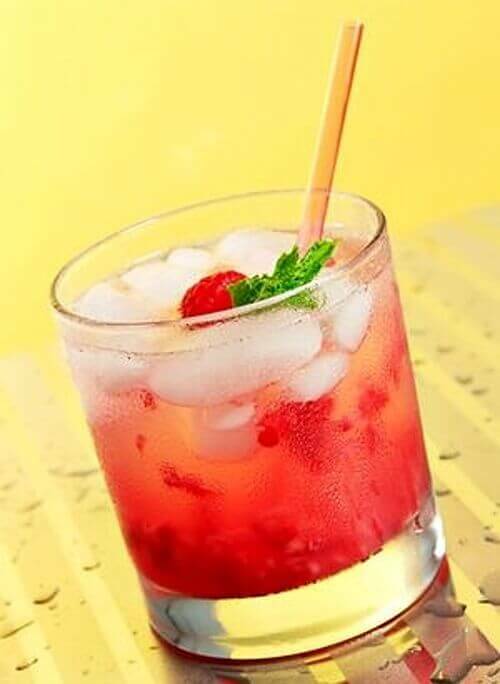 1 ounce raspberry syrup, 1/2 ounce lime juice, 1 dash mint. Serve in an 8-ounce glass; place a slice of lemon and cherries on top and serve with straws. 6 dashes lime juice, a little cracked ice, 3 dashes essence of orange flower, 1 ounce lemon syrup. Fill glass nearly full with carbonated water, stir, and cloud with grape juice. Price—10 ounces, 10 cents. Into an 8-ounce mineral glass put 1 ounce pineapple syrup and 2 ounces grape juice; then add carbonated water, coarse stream, to nearly fill the glass and mix by pouring from one glass to another two or three times; lastly, add a dash of carbonated water, fine steam, and pass the glass to the customer in a "fizzing" condition.